Looking for SEO companies in Toronto or Durham Region? 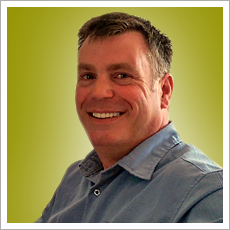 My name is Kevin and I help small businesses improve their websites and get more organic search engine traffic. This is Kevin, the owner of YouRankWell.ca and bringer of affordable SEO and website services to small businesses in Toronto and Durham Region. Competing in the world of local SEO companies is no easy task and I feel I bring something that’s become unique into this little corner of the business world: honesty & integrity. It may sound strange, and it’s definitely unfortunate that things have turned into this, but a lot of the local SEO companies have done a major injustice to the craft and I don’t blame small business owners for feeling lied to and even cheated in some cases. I began creating websites back in 1997 and eventually migrated into SEO in 2004. Along the way, I worked full-time (1999 to 2014) for a company in Toronto that created, maintained and promoted websites and products online. That was where I developed a lot of the skills I now use, although I have spent many a late night overdosing on caffeine and banging my head on my laptop while trying to figure things out as well. With so many SEO companies around, which ones can you trust? I’ve seen a lot over the years and I have been around for nearly every online ‘trend’, including the ones involved with search engine optimization. A little about my strengths. You deal with me. Always. When you call, you’ll speak directly with me and I’ll always know what’s going on with your website and SEO. No one else answers my phone or email and this leaves no room for misunderstandings and/or delays. It also allows us to develop a working relationship that would be difficult to achieve otherwise. I do all of the work myself. 99% of the time, I’ll take care of everything myself and the only time I would contract any work to someone else would be in a special situation, such as custom programming or higher-ended photography, for example. In such cases, you would be made fully aware of what was happening and I would only use local people that I know and trust. I choose to do this, and it’s a great position to be in. These projects are like puzzles in that no two are alike and each one presents its own challenges. It’s never boring and it definitely keeps me sharp. I’m dedicated to your success. Ultimately, your success is my success and the challenge of SEO is to get results. I happen to enjoy the challenges, but at least you know that my first concern is to have happy customers. And to keep working. One of my main skills is being able to identify what your business is about and applying it to your SEO. Almost always, there are a few ways to view a business and I consider it my job to find them. I was doing this when Google didn’t exist yet and people were busy keyword-spamming the Altavista search engine. I’ve seen all of the tricks come and go, and knowing what not to do is as important as knowing what you should be doing. Knowledge, as in most cases, is key and I am learning something new about this industry each day. I actually enjoy helping people out. We all need to earn a living, sure, but somewhere in there is also the opportunity to actually help out some small businesses and assist them in figuring out what they actually need, versus what most of the other SEO companies are going to automatically recommend. I’m also happy to share SEO information, which means you can do some of this stuff for yourself if you have the time and desire to learn it. It saves you some money and at least you’ll know what’s going on, right? Too many people consider themselves to be, which isn’t fair to those who really are. I can put together a website for you that will look good, but it won’t be even close to anything that was ‘designed’ and, if you’re looking for that “Wow Factor”, you should probably consider hiring a professional designer. My objective is to get you up-and-running with a decent website that won’t break the bank. If you need a lot of things done in a short period of time, I’m probably not your guy. I’m efficient, but one person can’t compete against a team of people and I can only do so much within a given time-frame. If time isn’t a crucial factor, I’m happy to work with you and I think you’ll enjoy the process as well. I don’t do “Pay-Per-Click” or any type of paid advertising. I’m sure I could, but I never really have and I’m not comfortable learning with your money (and I doubt you would be, either). I focus on ‘organic’ (natural) search results and if you have enough money in your budget to just go for paid results, there are better people than myself out there to help you. Paid advertising in any form is not SEO: it’s advertising, plain and simple. Anyone can do it as long as you have the money behind you. A lot of businesses get good results when they run their PPC campaigns, however the traffic stops as soon as their budget runs out and it’s not a long-lasting source of visitors and potential sales. Organic SEO, on the other hand, really can provide you with a constant stream of new visitors, meaning you pay once and continue to reap the rewards for a while, at least. I’ve actually seen where a few SEO companies promised top results, set up Google Adwords campaigns and then claimed they had achieved those results. It’s very dishonest, to say the least, and it’s something that small business owners need to be aware of. A spammer or ‘Black-Hat’ cheat. People want results and they want them fast, but I’ve actually turned people away who insisted that I use spammy SEO tactics. Using some of the spammy and ‘black-hat’ SEO techniques can still get some quick results, but they won’t last long-term and they’re a pain to clean-up when you do get caught. Google updates like ‘Penguin’ and ‘Panda’ proved that, and doing SEO properly means two things: it’s going to be slow, but you won’t ever get penalised. I’ve also noticed that some of the existing SEO companies still employ such tactics as keyword stuffing, which really is lame and something that I refuse to do. If you’re going to spend time developing your website, use that time to create a unique online presence that focuses on boasting your strengths. The search engines are becoming more sophisticated all the time and your effort will be rewarded down the road. It took a while to get to the point where I was comfortable going out on my own, and my time spent at the company mentioned above was very well spent. But, and as with just about everything else in life, there are limits that you reach and the challenges just aren’t there any longer. So, I decided it was finally time time to create YouRankWell.ca. I wanted to develop my own relationships with business owners and fully assist them in ways that were not available to me until now. I enjoy the freedom to base decisions on my own sensibilities and the flexibility that comes with working for yourself. And I’m proud to have established myself as being different from a lot of the standard and typical SEO companies. So, now you know a little about me and how I go about doing what I do. Have any questions? Please contact me any time and I’ll be happy to help you with your website.